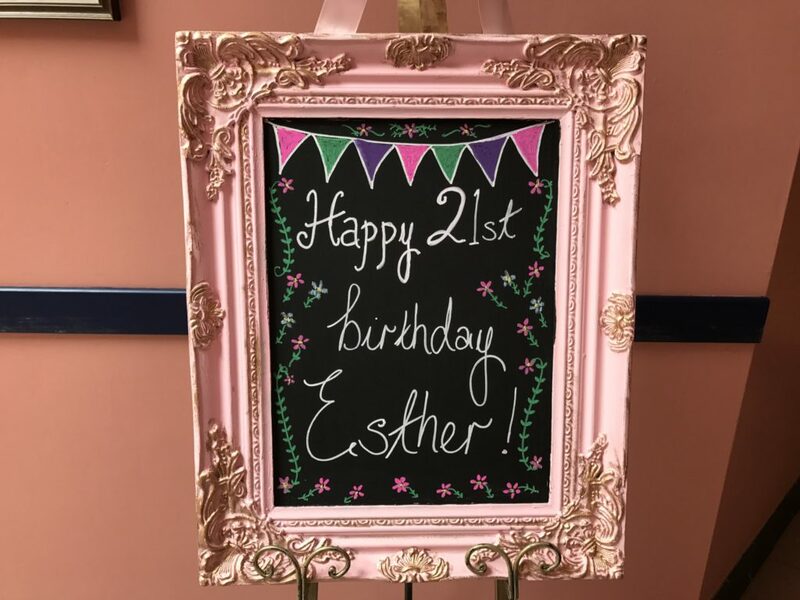 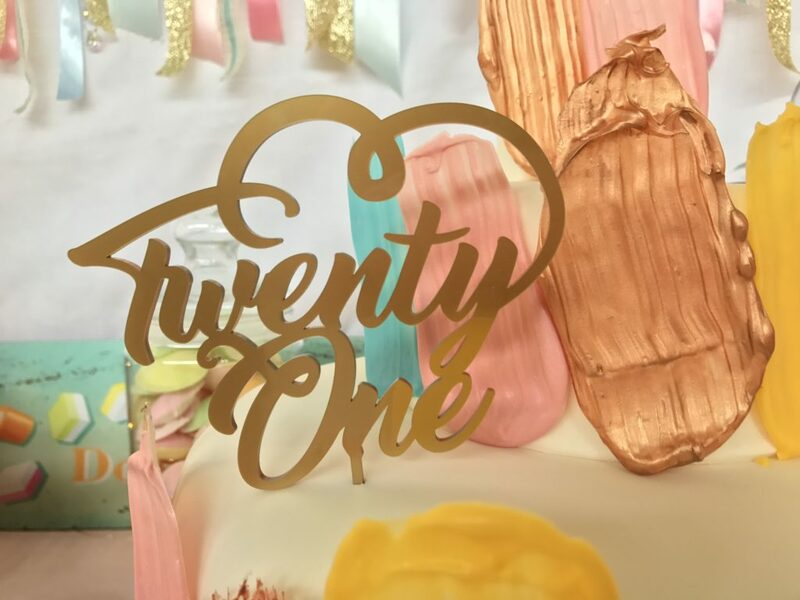 When Esther asked me to style & set up her 21st birthday party for her I was delighted as she did her work experience with me a few years ago and we got on so well. 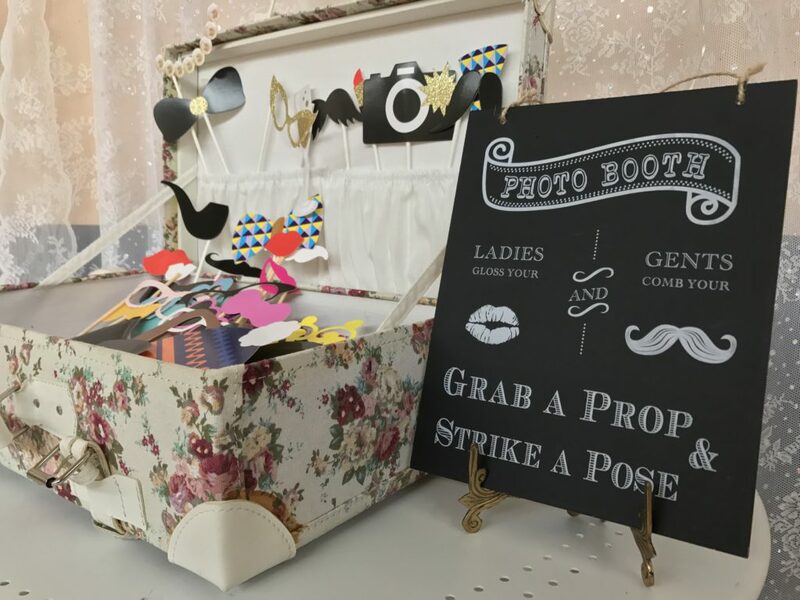 One of the main things that Esther wanted was an area set up with props for everyone to have fun pics taken. 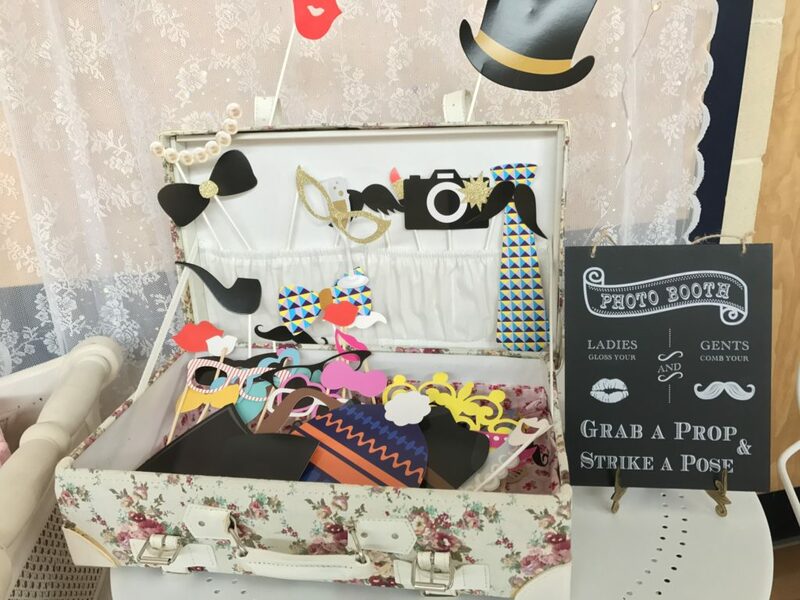 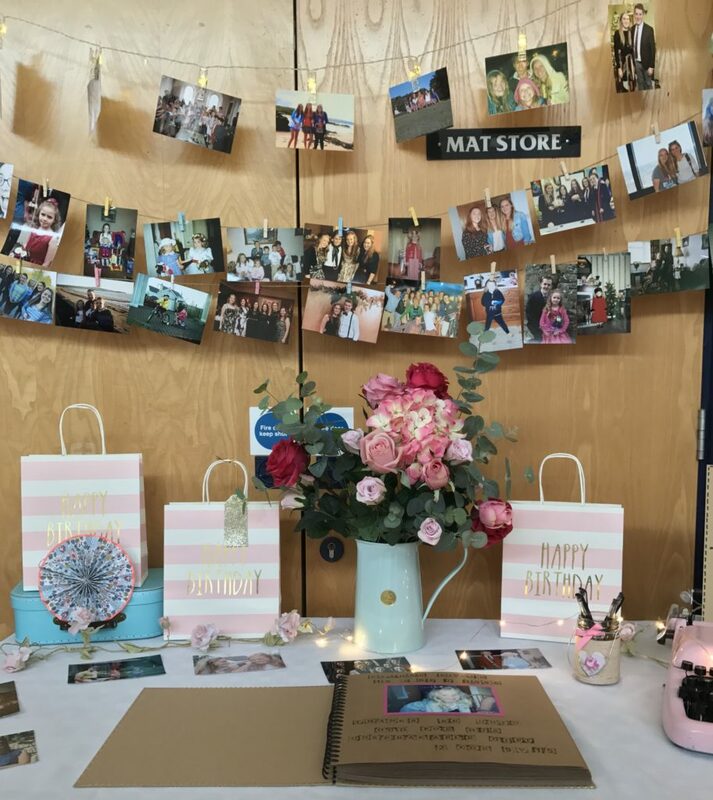 I set up a cute little area with a bench and tables with photo props and it proved very popular on the night for everyone to take pics to post on their IG & FB! 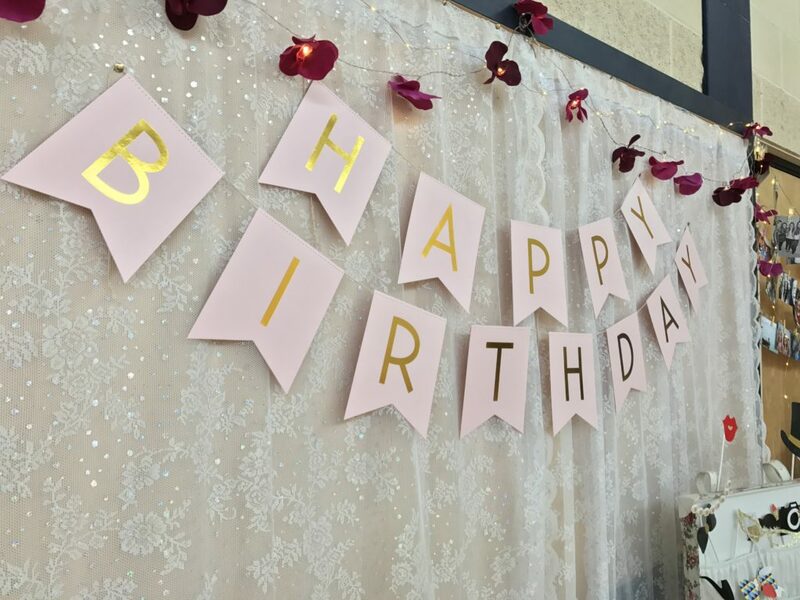 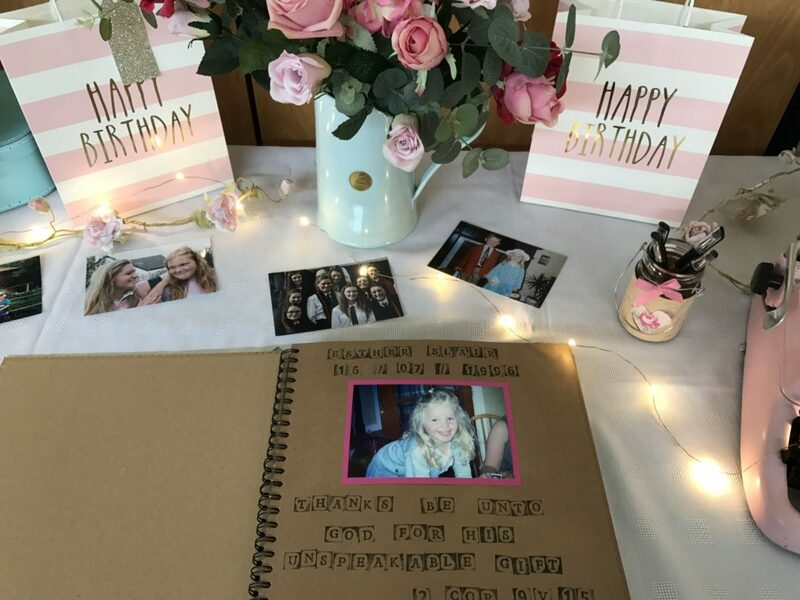 Esther also wanted an area set up with lots of cute pics displayed from her childhood with a message book for everyone to write their own personal birthday message to her. 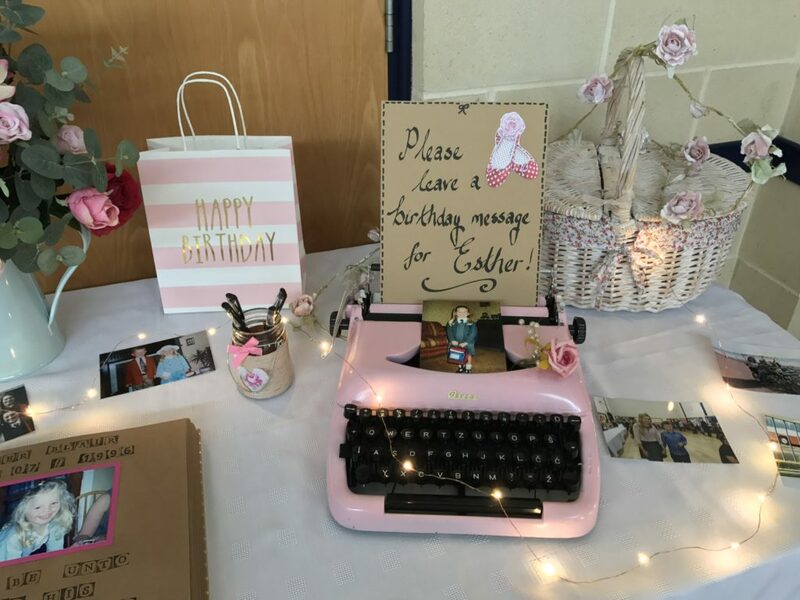 I pegged some photos onto string above a table with a pink vintage typewriter as a cute prop next to the message book. 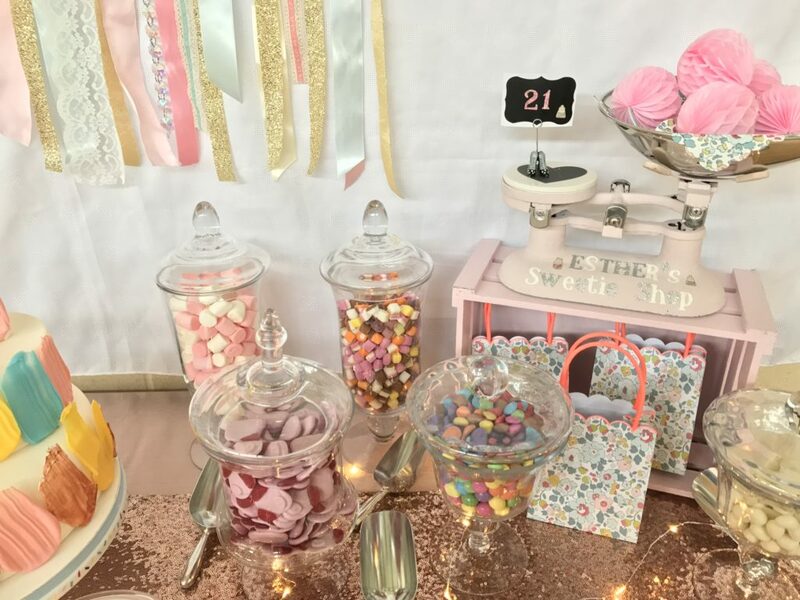 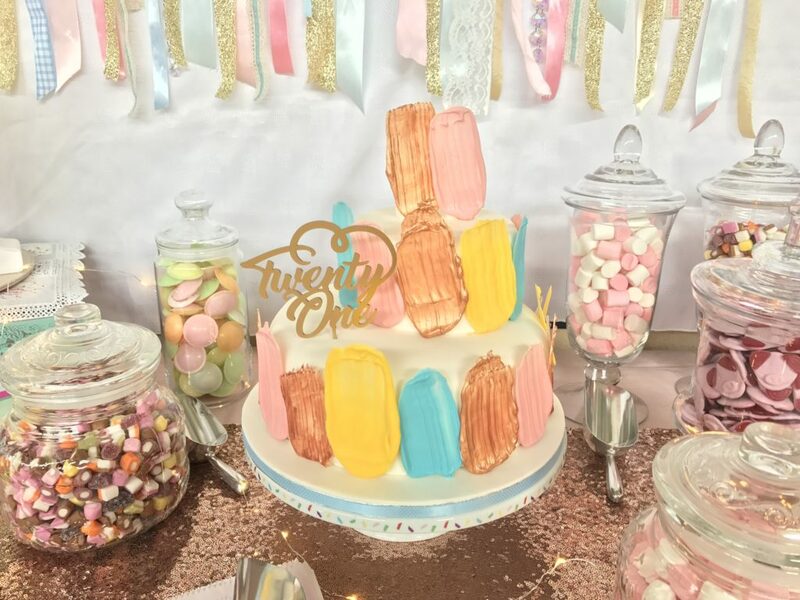 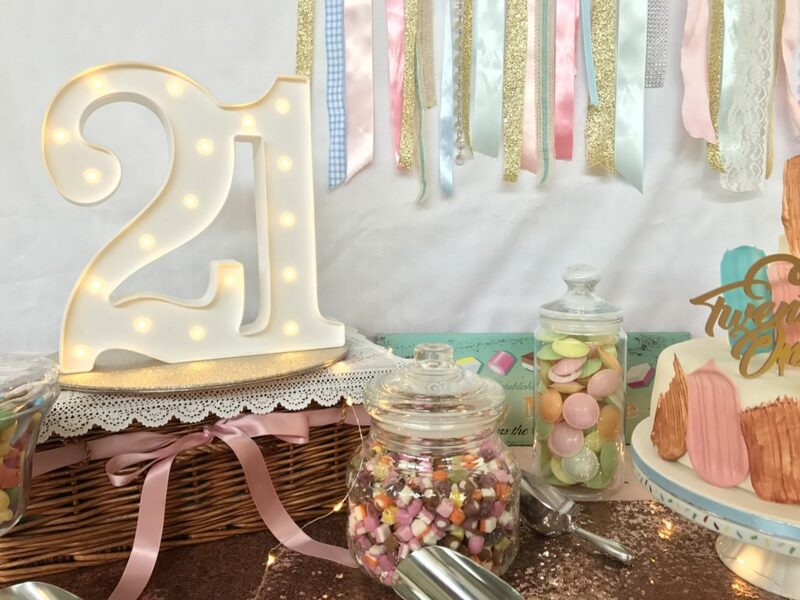 I also set up a sweetie /cake table with lots of cute props and as always this proved very popular with guests as who doesn’t love to fill a bag with all their favourite sweets! 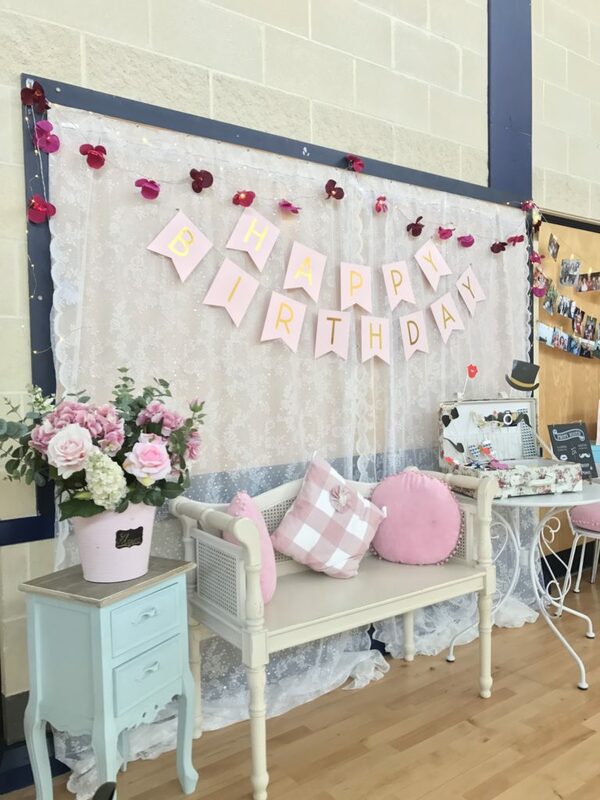 The gorgeous cake was by Judith’s Cakes & Bakes and I hung a ribbon garland behind the table for some extra prettiness & colour. 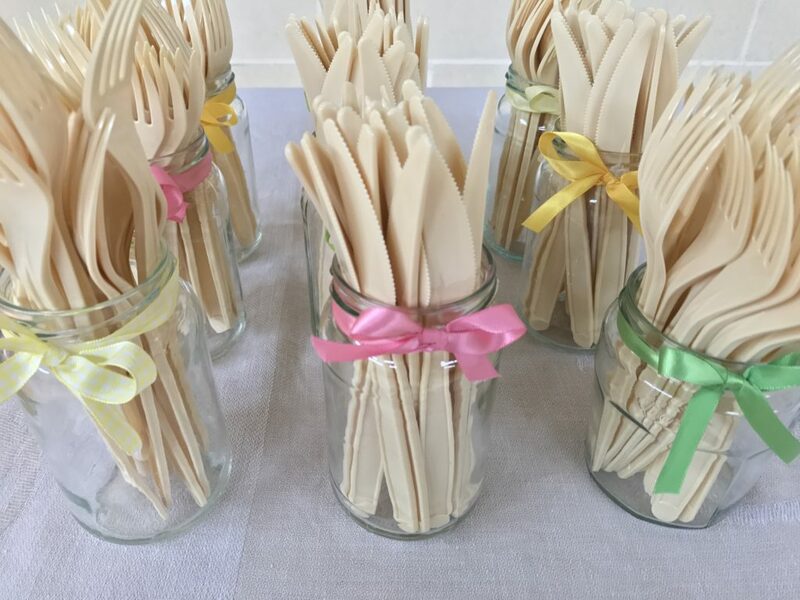 There was a hot food buffet set up with lots of delicious dishes and cute jars of cutlery were set out with plates for everyone to help themselves. 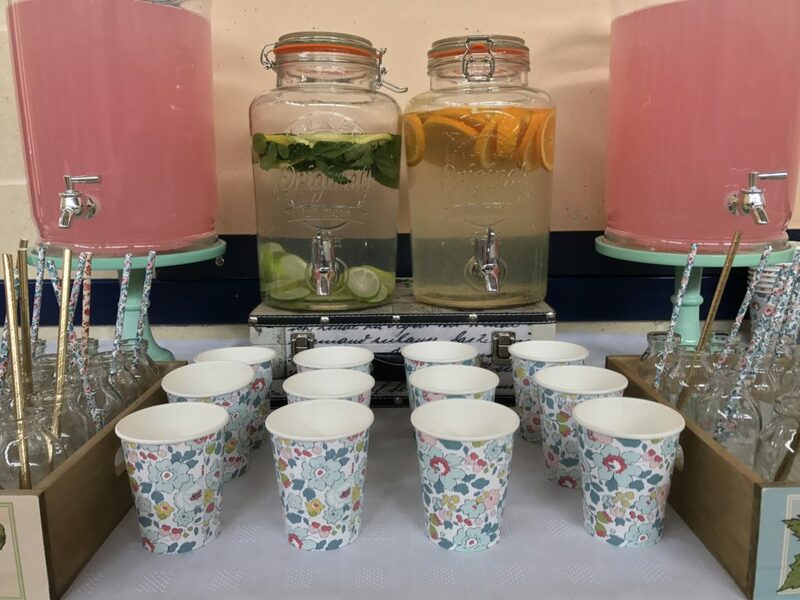 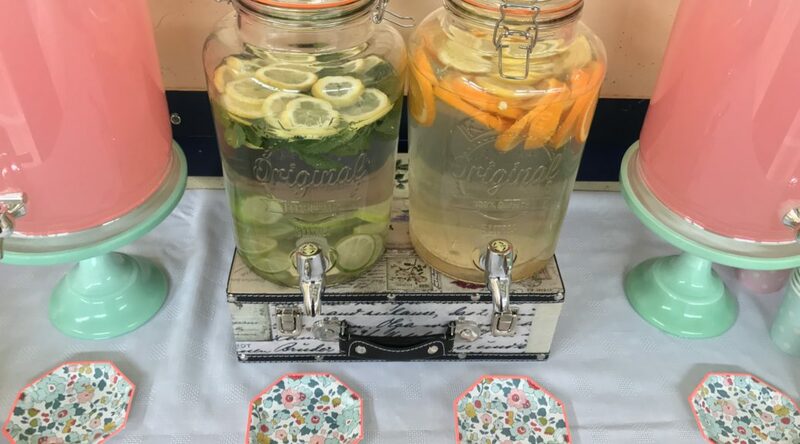 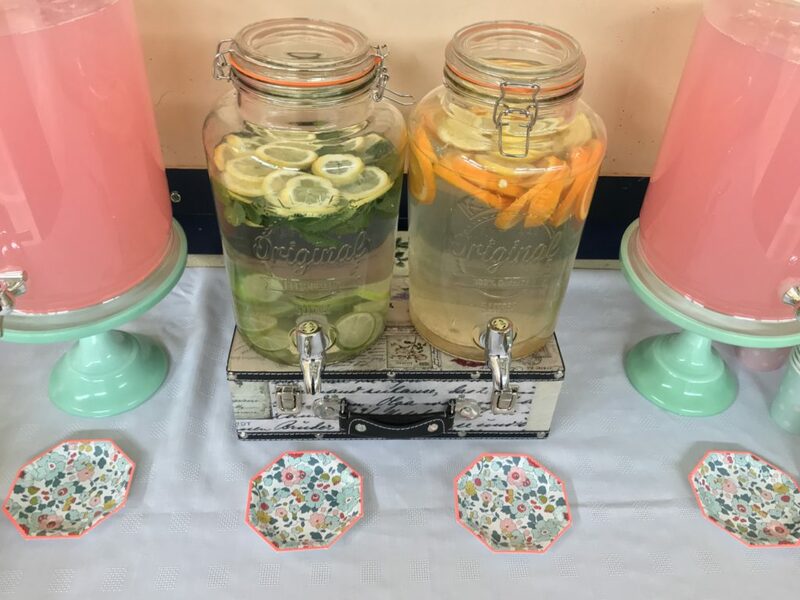 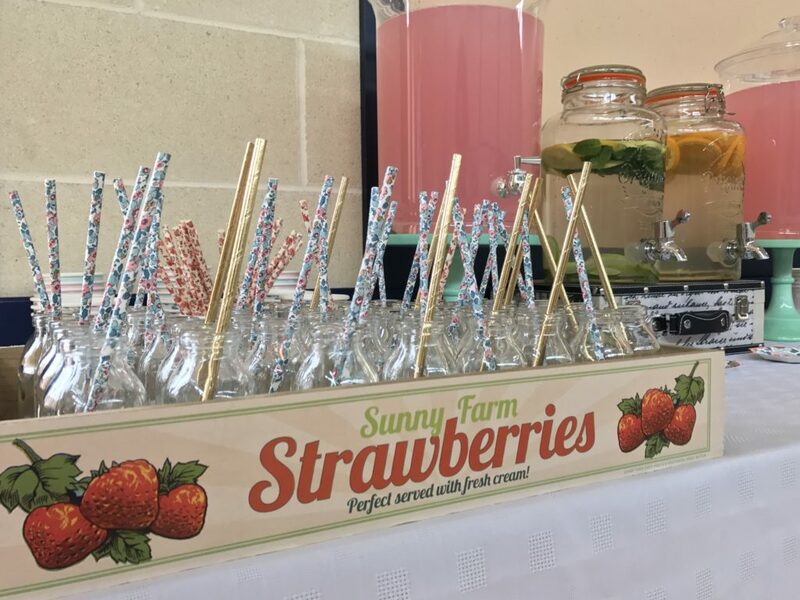 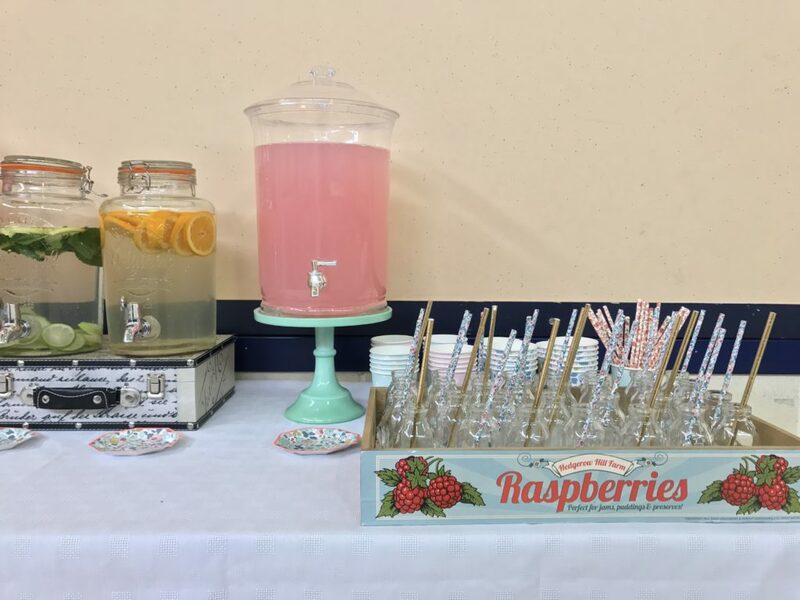 A drinks station was also set up with drinks dispensers and paper cups and little glass bottles with straws. 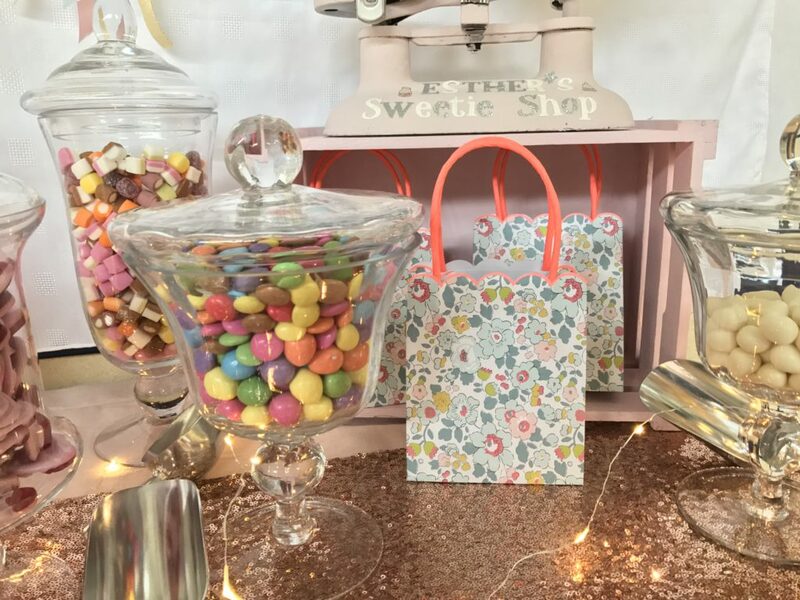 All the Liberty party ware was kindly supplied by the wonderful Party Pieces.